Our engineering and project management department plays a central role in our organization. They safeguard our standards, procedure, initiate improvements, and monitor developments in technology and legislation. At their disposal are decades of accumulated expertise acquired by Ottevanger Milling Engineers during the existence. 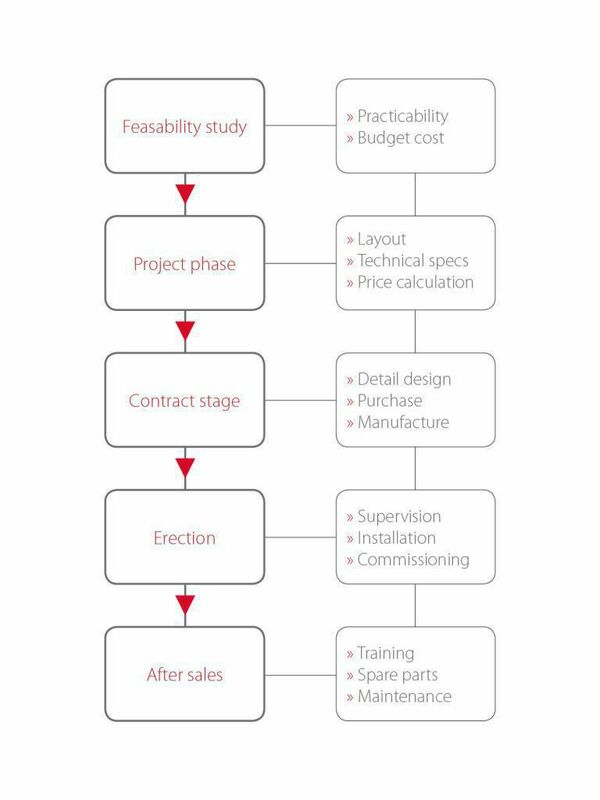 The project managers guide your project smoothly through all the necessary phases, from concept to realization. For the construction phase, Ottevanger Milling Engineers will designate an experienced site manager who is familiar with local circumstances and can supervise the project through to successful completion. Ottevanger draws up a provisional plan on the basis of the information gained during initial discussion with their customers. Crucial starting points are the current situation and expectations, the feasibility of the project and the available budget. Ottevanger develops a design plan with technical specifications and a budget proposal. These details form the basis for the further discussions. Once an agreement has been reached about the definitive plan, Ottevanger starts up the project. Starting up production and sub-contracting components and services. Ottevanger’s employees ensure, after a thorough inspections of all components, on time arrival on site. After arrival of the goods on site the equipment can be installed and commissioned by our experts. The service does not end after the commissioning of the installation. Ottevanger’s employees are dedicated to provide assistance during the lifetime of the facility.